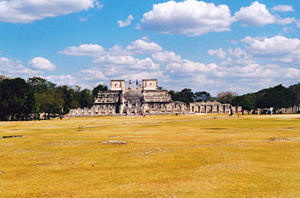 Chichen Itza is a must for everybody interested in the PaleoSeti Theory. 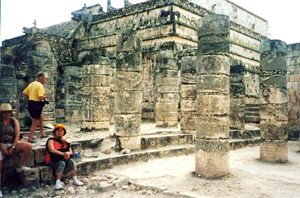 I visited Chichen Itza twice, first in the year 2000 with my sister and again 2005 with my wife. We were able to explore the site extensively during those visits. 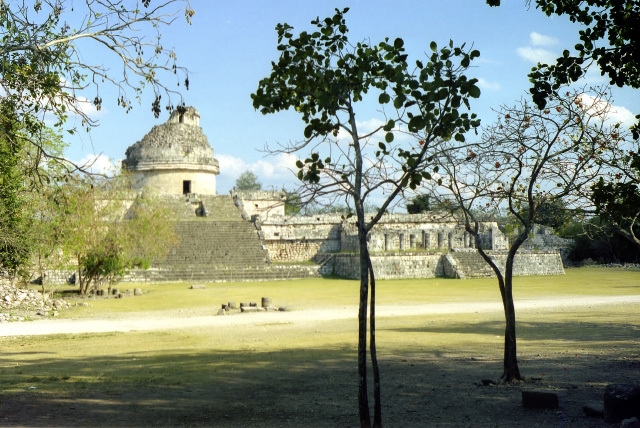 The best known building of Chichen Itza is certainly the pyramid of Kukulkan also called "El Castillo". 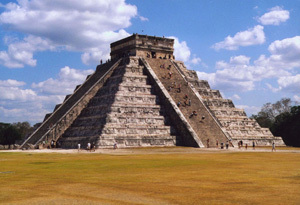 This pyramid is the reason Chichen Itza is well known all over the world. It is an absolute marvel of architecture, engineering and astronomy. In my opinion this building is one of the best proofs of an extraterrestrial visits in the past. 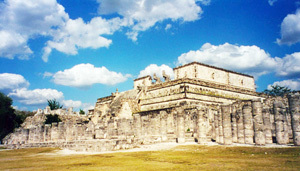 The building tells us the story how the gods from the sky to earth in a way that is ingenious, yet simple to understand. 2005 was also the last year visitors were allowed to climb the pyramid and enter the inside of the pyramid which has very interesting feature inside that hardly anybody is aware of. So the photos you will see are historic now. 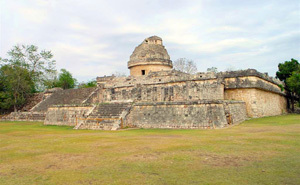 To read more about this fascinating structure, click here and visit my Pyramid of Kukulkan page. 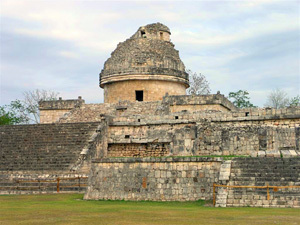 Another fascinating structure in Chichen Itza is "The Caracol" or the Observatory. This building looks just like a modern observatory. 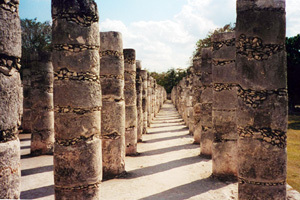 The following four photos show the so called warrior temple, also known as the temple of the thousand columns.